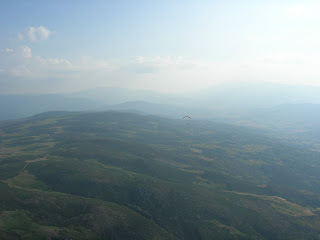 This summer the Nordic Paragliding Championships will take place in Piedrahita, Spain. This location offers good weahter and a good launch and excellent opporunities for long distance flying. Last year I went to the same place for some flying on my own and had very nice flights. And as I have not been to such an event in a while decided to it would be fun to participate. The Nordics are a serious competition but at the same time the atmosphere is nicely relaxed as most participants are there to enjoy themselves.